Oh boy I love this!! Thanks for posting it. I will have to try all those different flavors. What a brilliant idea, and love all the flavour ideas too, thanks! I’m also a biiig coffee drinker. I love all the variations you have here, can’t wait to try some! Wow – first I was amazed to see how easy it was to make and then I saw your list of flavours and was blown away! Thanks for bringing these to the party – Happy Fiesta Friday to you! 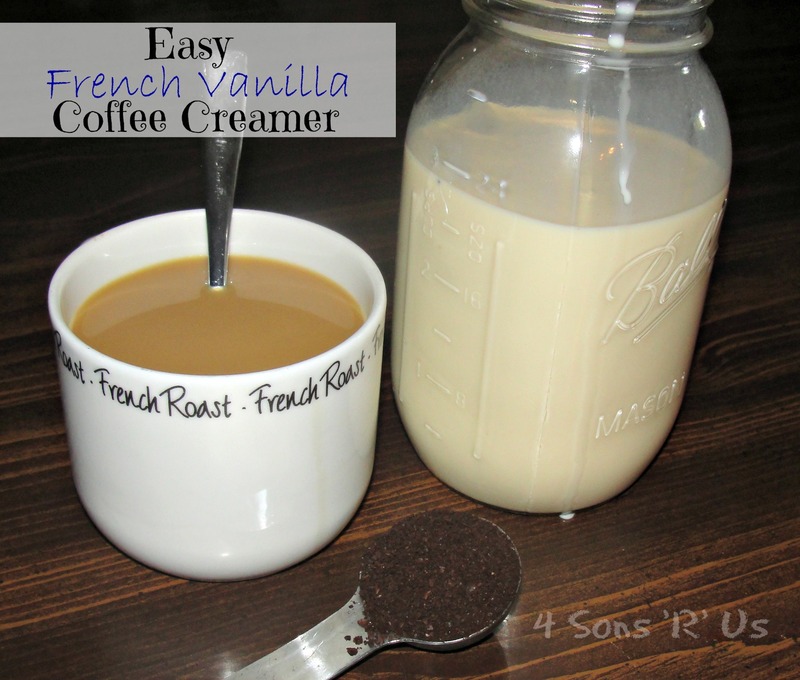 Coffee lovers would LOVE LOVE this homemade coffee creamer of yours! And you amaze me with all the flavors that you have provided. So brilliant, Meaghan! Wow! I take my coffee black but so many of my readers LOVE cream and flavorings in theirs. I pinned it to my Coffee! pinterest board. Thanks so much for sharing this post at Wonderful Wednesday Blog Hop. Hope you’ll come back again! Wow, love all those variations! A great Coffee Creamer, I will love it! Thanks so much for sharing your awesome recipe with Full Plate Thursday. Hope you are having a great week and come back soon!